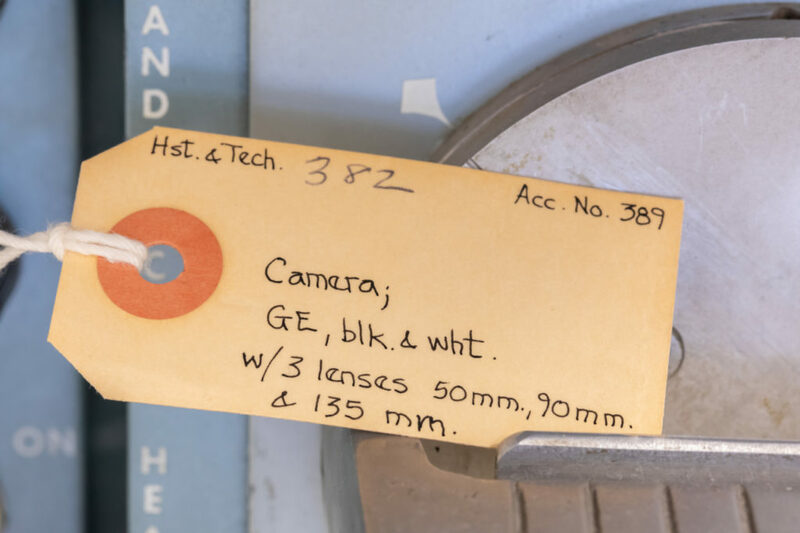 Tucked away inside the Houston Museum of Natural Science’s extensive off-site archives, among taxidermy and specimens galore from over a century of collecting, stands a piece of Houston television history on three rickety wheels. It was in 1971 that the team at KPRC-TV donated one of its studio cameras to HMNS. For years it stood as an added attraction, letting guests get a look at the technology that was used for local news and entertainment broadcasts. 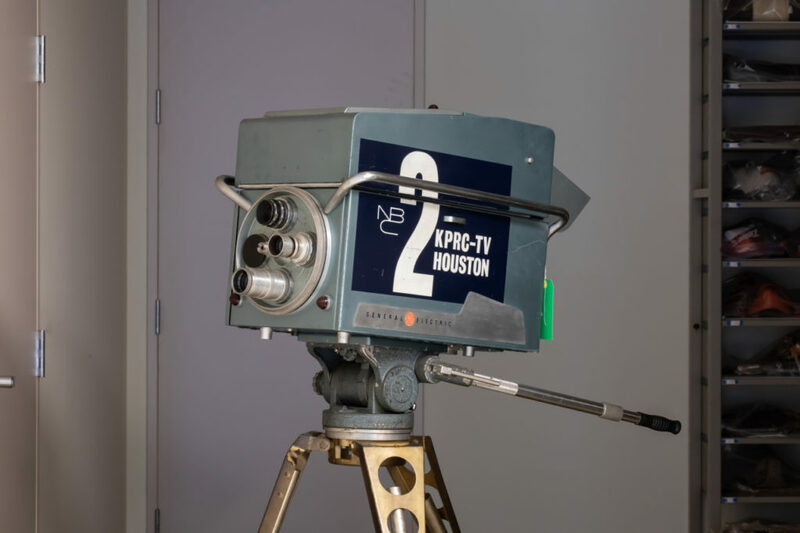 In 2019 the KPRC family is celebrating 70 years of broadcasting to Houstonians and this camera played an important role in that story. 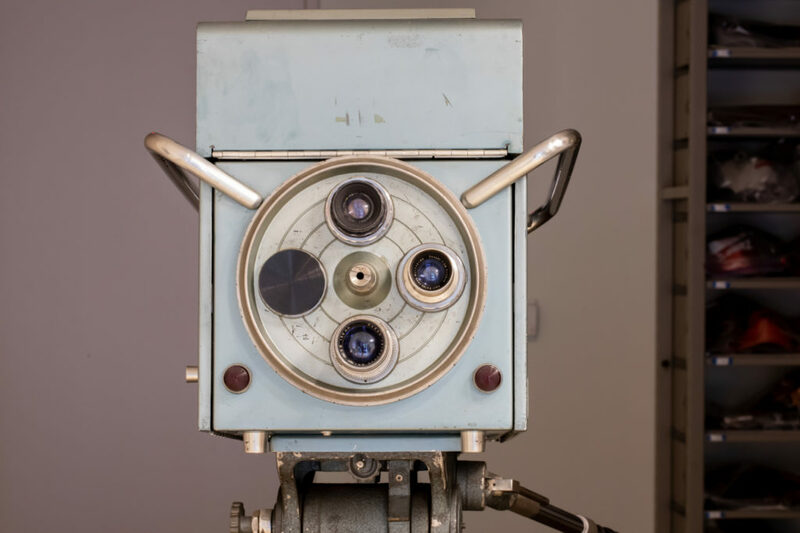 The camera was in the Hall of Communication and on exhibit until 1985, according to museum records. We even still have the manual for the camera which, judging by the jazzy logo on the side, would have been used in the late ‘60s. It’s smaller than the average TV cameras that are seen in most newsrooms these days and does even less, but it’s a quaint relic from a simpler technological time. In 2019 most of us have mobile TV stations in our pockets, with our smartphones able to do most anything that that camera could do in its prime better and faster. It’s likely that the camera’s residency at HMNS might have even ignited the imaginations of budding broadcasters. It certainly holds a place in local pop-culture history. KPRC officially signed on to the local airwaves as KLEE-TV back on January 1, 1949. It was Houston’s first TV station and the second one in all of Texas right behind WBAP-TV in Fort Worth. Later in 1950 the call letters changed to KPRC-TV, standing for the Post Radio Company as the Hobby family had purchased the station, then the current owners of Houston’s long-lost Houston Post newspaper and radio station KPRC-AM. It also stood for Kotton, Port and Rail Center industries – a nod to Houston’s agricultural and industrial roots. With the benefit of being an NBC affiliate, KPRC-TV was the first station in the city of Houston to broadcast in color by the mid-‘60s. That innovation would come in handy as NBC shows like “Star Trek,” “Bonanza,” and “I Dream of Jeannie” became so popular. These days KPRC-TV is still a Houston news leader with anchors and personalities like Bill Balleza, Dominique Sachse, Frank Billingsley, Britta Merwin, Jennifer Reyna and Andy Cerota giving Houstonians the lowdown on their city daily. Craig Hlavaty has been covering Houston pop-culture since 2006 at various outlets around the city. He is currently the social media manager at the Houston Museum of Natural Science and eats his tamales with ketchup.